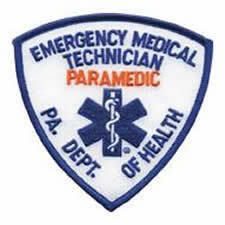 An individual who desires to become a paramedic must first complete the EMT program and state examinations. A paramedic student will engage in a more in depth study of pathophysiology of body functions and illness/diseases. Many new,more advanced skills are introduced as well as a unique discipline in which a close relationship and understanding between Doctor and Paramedic must be developed. The paramedic is the eyes,ears and hands of the physician at the scene of an accident,private residence,nursing home,restaurant or other public settings. Through key history gathering and physical assessment a paramedic can determine the need for airway management,ventilatory support,intravenous therapy,medication administration,spinal and extremity immobilization as well as cardiac defibrillation/cardioversion and transthoracic pacing. These are just a few of the specialized skills a paramedic renders by following approved protocols established by a physician medical director.